For a quarter of a century, Barry Lubin, better known as ''Grandma'', his clown persona, has been the iconic face of the Big Apple Circus. 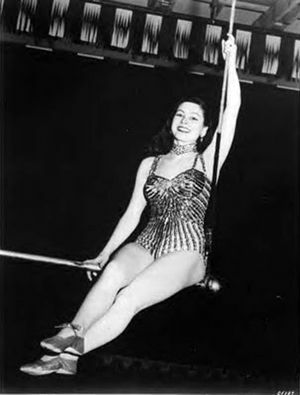 Although his career began and continued with other circuses in the U.S. and in Europe, to many New Yorkers and Bostonians in particular, Grandma ''is'' the Big Apple Circus. Many felt a strong sense of loss when he bid farewell to the Big Apple Circus's audiences in 2012: They had laughed at Grandma's antics when they were children, and in turn, their own children were growing up laughing with Lubin's beloved character. Thankfully, he returned to the Big Apple Circus for its Lincoln Center revival season in 2017.